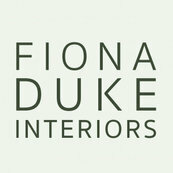 I have worked with Fiona on a few projects in Chelmsford and i really enjoyed working with her. She was very organised, friendly and she had such a clear idea of what she wanted it made my work so easy! She is a pleasure to work with. She is a fantastic professional with a positive attitude and her sense of aesthetics are great. I look forward to working with her again on future projects and i would highly recommend them.